One of interesting incidents I remember well is about a parrot which was presented to the Master. He had put it in the Pilgrim House. My uncle, who was the steward of the Pilgrim House taught the parrot to say ‘Allah-u-Abhá’ to whoever approached it. Also, he had trained it to say, ’say, say, say O Bahá.’ The people, who heard the parrot’s voice and didn’t see it, thought that a person was there. Muhammad Hassan took the cage containing the parrot to the Holy House and put it beside the window of the hall. This month’s video features the voice of Michael Costello, and the music of Crystal Morales & Danielle Morales from the group Jumelle. I wasn’t able to find any information on Michael, but the Morales sisters, professionally known as the Jumelle (“Twins” in French) have an incredible story. They are almost totally blind and deaf yet, they have been composing original music since age seven! When they were born, they weighed a mere pound and a half each and doctors held little hope of survival for them. However, they not only survived but thrived. 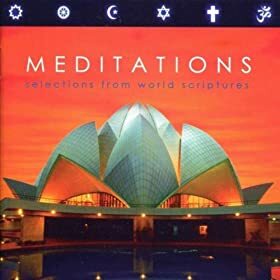 Today, they play a wide array of musical instruments, including piano, violin, cello, and guitar, have produced one professional CD, and have contributed to this meditation CD, as well. They have recently begun receiving performance invitations from different corners. The song I have chosen this month is called Mauve, from their CD “Meditations: Selections from World Scriptures. It features 7 Hidden Words and several passages from ‘Abdu’l-Bahá on how to behave in the world. It’s truly like listening to the voice of God Himself! 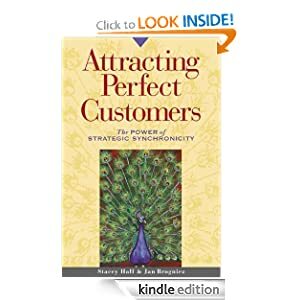 Attracting Perfect Customers is one of my favourite business books, written by a Bahá’í. I picked it up because I was attracted to the title, but when, in the acknowledgments, it gave thanks to the Universal House of Justice, it really got my attention and I knew right away it was a book for me! It didn’t disappoint! It’s based on principles that are not new but are often neglected in today’s business world. Among them are the ideas that businesses don’t need to search for customers if they are “on purpose”; that collaboration, not competition, is required; and that businesses can either create their own “perfect customers” or their “clients from hell”. It shows how to achieve one and avoid the other. take actions in alignment with you, your plan, your core values and your inner being, so you can achieve positive results. Imagine feeling at ease speaking about your business at networking meetings or to large groups of people. Business Coach Jan Stringer, co-author of this months featured book, believes that successful selling is a natural result of successful marketing, and her definition of marketing is – “Building Relationships”. Her coaching practice helps you do just that. When you work with her, she will help you develop a strategy for discovering what is unique and special about you, help you find your unique message, and help you design a plan, and a conversational model to help you go out and share your unique message. Despite having been a Baha’i for some time, during a recent move to Virginia Caleb Gilleland found it almost impossible to get in touch with the local Baha’i community. It struck him that if he couldn’t easily find the Baha’is, it was a pretty safe bet that those in the wider community who were potentially interested in the Faith would find it even more difficult to do so. So he began to think: What had other successful organizations done to solve this problem? 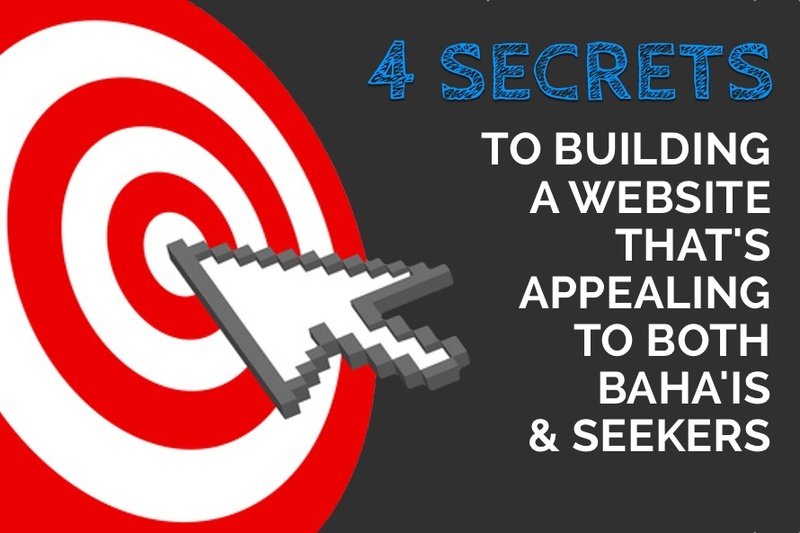 He noticed that most churches used a robust web presence to be more relevant to their communities. Given that more than 80% of people visiting a church for the first time looked at the church’s website before going, he figured that an even higher percentage would want to visit a local Baha’i community’s website before attending Core Activities or a Fireside. After all, the Bahá’í Faith is still pretty unfamiliar to people, all things considered. Thanks to David for the exciting news about last month’s featured singer being at your summer school! She’ll be a welcome addition! Thanks also to Clare and Jennifer for the extra set of eyes! Putting this newsletter together and learning the new program has been a BIG learning curve for me, with so many tiny details to pay attention to; and I truly appreciate the feedback! I hope I’ve found a solution for the hyperlinked text – Please let me know if it’s more readable!